There’s only one answer: Contact Keith Taylor at GoutPal for all aspects of gout. Here’s my latest contact details for 2014. 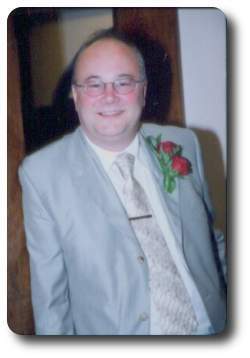 If you just want a quick answer please use Keith Taylor’s public profile. I am in the process of revising my contact details for 2015. If you want immediate contact with the best gout people, please click the orange Gout Support button, or add a ticket directly in my Gout Support Helpdesk. More details of 2015 contact changes, coming soon. Gout people feel frustrated about gout, and need someone to talk to, so I set up the Gout Forum. This has the huge advantage that other gout sufferers can see the gout discussion. Even better, it has attracted a band of regular contributors who share there own experiences and wisdom. Of course, those discussions will be in public, but that is the point. I have no medical qualifications, and I cannot consult privately on health matters – that is what you pay your doctor for. If you do wish to contact me privately, I describe how in other ways to contact me below. Before you contact me privately, I will explain my general response to some of the private requests that I receive. Occasionally, people do send private messages about their gout. My response is to ask them to repeat the question in the forum, so all gout people can be involved. I have yet to see an adequate explanation of why such conversations should be held in private. However, if you have a valid reason for privacy, please say why in your message. I’m flattered that people are concerned about my own gout story and ask questions privately about my gout treatments and experiences. Again, I’m pleased to discuss this, but it definitely must be on the public forums, so all gout people can see it. Just raise your question on the forum, and I will answer it as best I can. Occasionally, I get messages asking for improvements to the websites. I really love getting these, and I will respond as soon as I can – immediately if possible. I welcome these private messages, but you can also use the Wish List forum – it might encourage other visitor to suggest more improvements. I am not a fan of link exchange schemes. I’ve tried them, and even the best controlled ones attract time-wasters. Besides which, I seriously doubt the value of simple link exchange as a promotion tool. The best approach for webmasters who want me to link to their site is to publish quality articles that link to me. There is a high chance that I will spot the incoming link. My response will depend on my assessment of the quality, the relevance to gout, and how busy I am. If my response is less than expected, then please send a message (public or private) through the gout forum, or use one of the other methods below. I introduced guest writers in 2011, and I plan to extend this through 2012. I include extensive commenting as well as a gout forum on Gout Pal Interactive, where you can also write your own gouty arthritis articles to encourage discussions about aspects of gout that interest you. Please note that everything you write is subject to my editorial approval. Also note that I work on the principal that links back to you are a reward for adding value to the gout debate. If your contribution does not add value, then at best you can expect me to edit or delete it. At worst, you risk becoming blacklisted on major spam control services. If you want to contribute in this way, but are unsure of how to do it, then ask in the forum, or by private message as appropriate. Not exceptionally frequent, but boringly similar enough to warrant a general guideline here. My immediate response is that the site is not for sale, but every man has his price. If you are serious about making an offer for GoutPal, then be serious with your offer. What are your valuation parameters, what are your funds, and what are your intentions? I’ve naively wasted much time on this in the past, and I will be suspicious. To avoid going straight to my spam folder, please make your intentions clear and quantified. Actually, I’ve never had one of these, so this is just to remind you that, with my prior approval, you can brand my gout guides (or other content) for your own use. I am happy to discuss any arrangement for licensing my content and will not usually charge if your product or service is given freely. I run a growing number of websites, therefore I like to keep my personal contact details up-to-date in one place. For more information, please see Contact Keith Taylor. Please follow GoutPal and Keith Taylor on Google+. I have a GoutPal Page on Facebook, that I would love you to like. Now you know how to contact me, think of something interesting about gout, and tell me.